REBROADCAST on Monday, Nov. 16 at 7 PM ET on CBS Sports Network, just before the National Horse Show's Longines FEI World Cup™ Jumping Lexington at 8 PM. See guide details below. TUNE IN Monday, Nov. 9 at 9 PM ET to watch the $125,000 Longines FEI World Cup™ Jumping Washington, presented by Events DC, for the President's Cup on CBS Sports Network. To find your local listings, visit the CBS Sports Network Channel Guide at http://www.cbssportsnetwork.com/channel-finder. WASHINGTON, November 7, 2015--For one week each October, the Penn Quarter neighborhood around Verizon Center in Washington, D.C. transforms into a festival of horses. Streets close for stabling and community events, and pedestrians and vehicles make way for hundreds of horses to compete at the Washington International Horse Show (WIHS), one of the most prestigious and engaging equestrian events in the United States, and a D.C. tradition since 1958. WIHS wrapped its 57th year with one of the most successful events in its history, welcoming business, military and diplomatic leaders, local and military charities and community events, and more than 26,000 fans of all ages, making it the largest indoor equestrian event in the United States. The excitement will continue and reach directly into living rooms across North America this Monday, November 9 at 9 PM ET when CBS Sports Network will air WIHS's top event of the week, the $125,000 Longines FEI World Cup™ Jumping Washington, presented by Events DC, for the President's Cup. See the CBS Sports Network Channel Guide at http://www.cbssportsnetwork.com/channel-finder for local listings. Harrie Smolders of The Netherlands and Emerald soared over the Longines jump to win the highlight event of the week, the $125,000 Longines FEI World Cup™ Jumping Washington, presented by Events DC, for the President's Cup. Photo: Shawn McMillen Photography. "This year we welcomed new partners to the show and embarked on several exciting new opportunities that were very popular with our fans." said WIHS President Victoria Lowell. 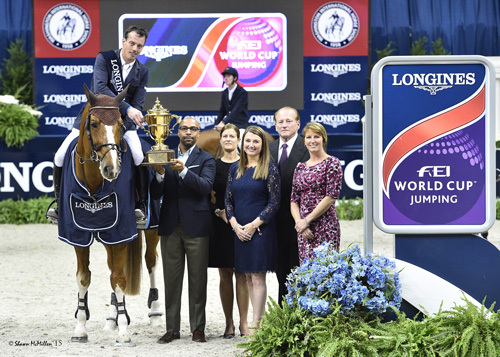 "Washington was selected as one of only 14 events comprising the all-new Longines FEI World Cup™ Jumping North American League, so international riders at Washington competed for valuable points to qualify for the 2016 Longines FEI World Cup™ Jumping Finals in Gothenburg, Sweden." "We also opened the door to greater audience engagement through innovations in technology. 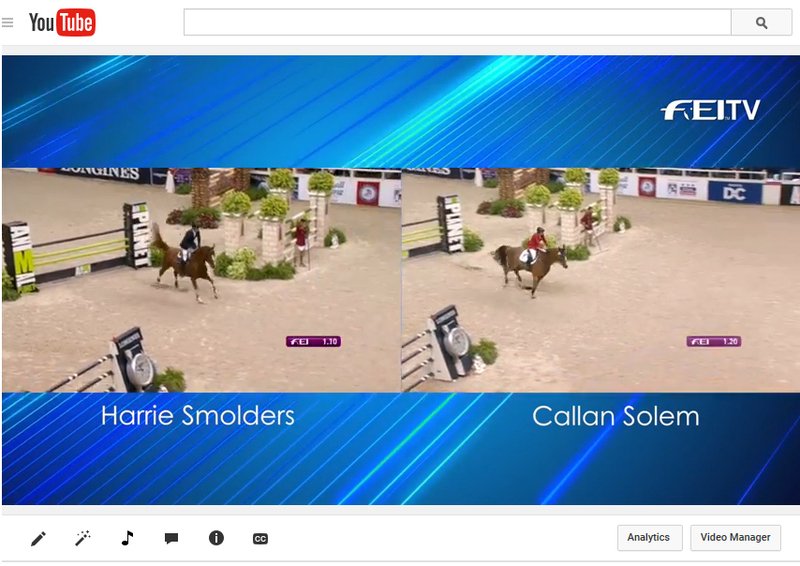 Working with SAP, we developed an app allowing the audience to judge the WIHS Equitation Finals along with the official judges. This was a first for our sport and was very well received. Our new partnership with Deloitte brought a world class dressage freestyle performance by Alison Brock to the capital city that captivated the crowd!" Dressage returned to WIHS on Saturday night with Allison Brock and the beautiful Hanoverian stallion, Rosevelt, owned by Fritz and Claudine Kundrun, performing an elegant and crowd-pleasing rand prix freestyle to music, presented by Deloitte. Photo: Alden Corrigan Media. "We're thrilled the show continues to grow each year," said Bridget Love Meehan, WIHS Executive Director since 2011. "The atmosphere all week was buzzing with fantastic competition, entertaining exhibitions and a huge array of other on-site activities. We're proud of our growing list of sponsors from around the world and partnerships with local businesses and the community, which all promise an exciting future for the show. And, we're so appreciative of the city for its ongoing assistance managing the complex logistics of our event with minimal disruption to residents." 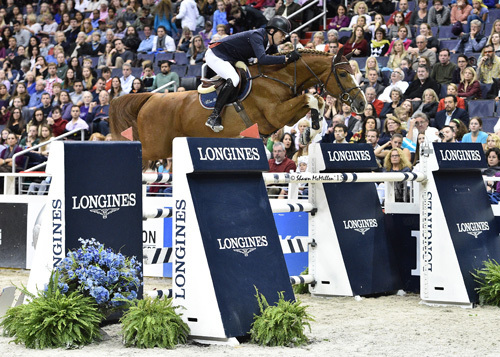 Saturday night's $125,000 Longines FEI World Cup™ Jumping Washington, presented by Events DC, brought out a star-studded lineup of top international show jumpers from five countries to ump for the famed President's Cup trophy. Spectators filled the arena and the elegant ringside Lugano Club and Longines Club to watch riders and horses jump up to 1.60m in height. Six riders cleared the challenging first round set by course designer Anthony D'Ambrosio to advance to round two. Following a thrilling jump-off, Dutch rider Harrie Smolders and Emerald won by 0.11 seconds, just beating Callan Solem of the U.S. and VDL Wizard. Finishing third was Nicola Philippaerts of Belgium and H&M Forever D Arco Ter Linden. Click to watch side-by-side jump-off! Smolders was presented with the show's most coveted prize, The President of the United States Perpetual Cup, for the second time, having won it previously in 2006. The trophy was commissioned for the show by First Lady Jacqueline Kennedy in 1961. Tori Colvin, 2015 WIHS Equitation Champion. Photo: Shawn McMillen Photography. The evening kicked off with Victoria Colvin, 18, of Loxahatchee, Fla., winning the final work-off of the three-phase WIHS Equitation Finals, presented by SAP. This prestigious year-end championship for junior riders is a touchstone for future international equestrian stars, as evidenced by many of today's top American riders including two-time Olympic gold medalist McLain Ward, who won the finals in 1993. On Wednesday, Colvin won the $35,000 International Jumper Welcome Stake, presented by Amalaya Investments, riding Cafino. Colvin also continued her tradition of success in the hunter ring by piloting Small Affair to the Grand Junior Hunter Championship and receiving the Best Child Rider on a Horse award, presented by Gotham North. Looking ahead to the 2016 Olympic Games in Rio de Janeiro, Brazil, WIHS invited all the riders competing at the show, who have represented the United States in official international competition to gather in the ring wearing their official pink coats. The night's President's Cup Party, hosted by the Young Nelson Society, WIHS's new young professionals philanthropic group, benefited the USET Foundation and the Ride to Rio initiative. A special video celebrated Team USA's success this year. In a moving moment, another former U.S. Team rider joined the group at center ring. No longer an active show competitor, he entered wearing a sport coat and a big smile. Into the ring walked Rodney Jenkins, the winningest rider in U.S. show jumping history, to be welcomed as the 12th inductee into the WIHS Hall of Fame. The special induction ceremony was presented by The Boeing Company. It was fitting Jenkins was inducted on President's Cup Night, as his first major international success was at Washington in 1970 when he won the President's Cup Grand Prix riding the incomparable Idle Dice, a prize he went on to win multiple times. He was equally prolific in the hunter ring with countless wins in all divisions. Jenkins joins George Morris, William Steinkraus, Betty Oare and other WIHS Hall of Fame inductees who have made important contributions to equestrian sport. Since 1987, Jenkins has been a successful race horse trainer based at Laurel Park in Maryland. The presentation also featured a dynamic tribute video, which has since received more than 60,000 views on Facebook. 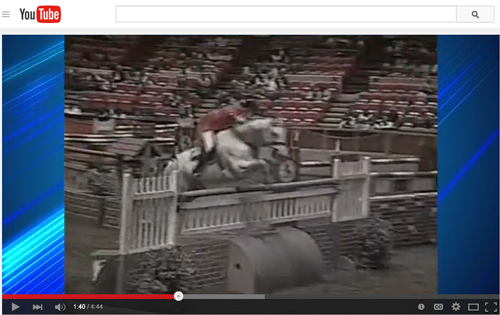 Click to watch WIHS tribute video to Rodney Jenkins. Fittingly, Jenkins stayed in the ring to drop the flag for the WIHS Shetland Pony Steeplechase Championship, presented by Charles Owen, and presented the awards to the young pony jockeys from U.S Pony Racing. Friday's Military Night, presented by The Boeing Company, is all about power and speed. It's an exciting evening of competition, military-themed exhibitions, a trophy in honor of the U.S. Armed Forces, recognition and support for Tragedy Assistance Program for Survivors (TAPS), WIHS's longstanding Official Military Charity Partner, and the Armed Forces Reception benefiting local therapeutic riding centers serving the military community. The Boeing Company $25,000 Puissance high jump competition is a WIHS fan favorite as horses and riders take on the great wall in an extraordinary display of power and courage. The current North American record of 7' 7-1/2" was set at WIHS in 1983 by Anthony D'Ambrosio aboard Sweet 'N Low. D'Ambrosio, serving as course designer for this year's show, set the wall at an initial height of 1.73m (5'8") and continued up to 2.13m (6'11") in four rounds of electrifying competition. In his first trip to WIHS and competing in his first Puissance ever, Belgium's Jos Verlooy, 19, cleared the wall up to 2.13m (6'11") with his top mount, Sunshine, to win the class. 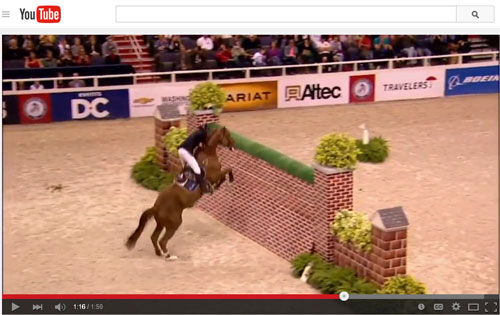 Click to watch video of the winning jump! Competing in his first-ever Puissance, Jos Verlooy of Belgium cleared the great wall at a height of 6'11" to win The Boeing Company $25,000 International Jumper Puissance (high jump). "He is a very talented horse," said Verlooy of Sunshine, a nine-year-old Belgian Warmblood gelding. "I thought it could be good to jump a few nice rounds in the Puissance, and in the end I won, so it is even better. I really liked it. It is really fun if you have the right horse. Today, I had the right horse." He admitted it was scary after watching a few videos and seeing some falls. "I was a little bit stressed, but I should not have been because my horse is really relaxed. He jumped it very safely. He made the jump easy for me." For the win, Verlooy's mount, Sunshine, was awarded The Sweet 'N Low Trophy, donated last year by Mr. and Mrs. Donald G. Tober, owner of the record-holding horse, Sweet 'N Low. Verlooy also accepted The Armed Forces Cup, presented by The Boeing Company and The Congressman's Challenge Trophy, donated by the Late Honorable Rogers C.B. Morton and the Late Honorable F. Robert Watkins, on behalf of Axel Verlooy and Euro Horse Bvba, owners of the winning horse. Ranch, and the Leading Foreign Rider Award. In his first trip to WIHS, Verlooy enjoyed the large evening crowds and great atmosphere at one of the top show jumping competitions on the calendar in North America. "It's a very good experience. It is a real American show and I really like the American shows," he said. "I come often to America to show and I really like it over here." During the speed portion of the evening, Belgium's Nicola Philippaerts and H&M Harley van de Bisschop won the $50,000 International Jumper Speed Final, presented by Rushy Marsh Farm and AAA Equestrian. Last year, his twin brother, Olivier, earned top honors in the same class. Twenty-one riders took on the course, and Philippaerts, 22, earned top prize with a clear round in 53.48 seconds with Colombia's Daniel Bluman finishing a close second with a clear round in 53.86 seconds aboard Blue Star Investments' Conconcreto Believe to finish second. WIHS has been a great show for the Philippaerts family in recent years and Nicola enjoys the competition and atmosphere each year. "It is a fantastic show. I'm always happy to come back here every year," he said. "It's always nice when the crowd is cheering you on. It is very motivating." Friday night was dedicated to honoring the U.S. Armed Forces. For the special patriotic evening, WIHS joined forces with organizations that give back to our service men and women including Tragedy Assistance Program for Survivors (TAPS) and five local therapeutic riding centers providing equine-assisted therapy programs for wounded warriors and their families. WIHS has enjoyed a close relationship with the U.S. military since its earliest days when former U.S. Army horses and riders represented the country in national and international competition. That connection continues today with Military Night, presented by The Boeing Company, and the popular WIHS Military Ticket Program, presented by Fidelity Investments®. Thanks to program supporters Fidelity Investments®, The Boeing Company, The Travelers Companies, Inc., Waldron Wealth Management, Glen Senk and Fashion Farm, Cherry Knoll Farm and Rothwell Figg, Ernst and Manbeck, thousands of local military families received complimentary tickets to experience an exciting evening of international show jumping and equestrian entertainment at WIHS. Nicola Philippaerts and H&M Harley vd Bisschop, winners of the $50,000 International Jumper Speed Final on Military Night. Photo: Shawn McMillen Photography. A special video shared the story of TAPS through Salamander Resort & Spa's unique equestrian program of self-awareness, communication and the special healing power horses can provide to all of us, including those who are grieving the loss of a family member. Proceeds from the WIHS Armed Forces Reception held in the Acela Club at Verizon Center benefited Loudoun Therapeutic Riding, Maryland Therapeutic Riding, Northern Virginia Therapeutic Riding Program, Rainbow Therapeutic Riding Center and Therapeutic Recreational and Riding Center. Back by popular demand, the Army vs. Navy Celebrity Barrel Racing exhibition, sponsored by Washington Area Chevy Dealers, revved up the crowd with a high-test race around a course of barrels. This year, Army edged out Navy for the win in an exciting display of determination and all-out speed urged on by cheering spectators. Teams were comprised of professional barrel racers affiliated with National Barrel Horse Association, Women's Professional Rodeo Association or American Professional Rodeo Association, top international show jumpers Olivier and Nicola Philippaerts, Alison Robitaille and Aaron Vale, and members of the military, Frankie Gale, a midshipman from the U.S. Naval Academy and Specialist Wilcox, U.S. Army Caisson Platoon at Fort Myer. 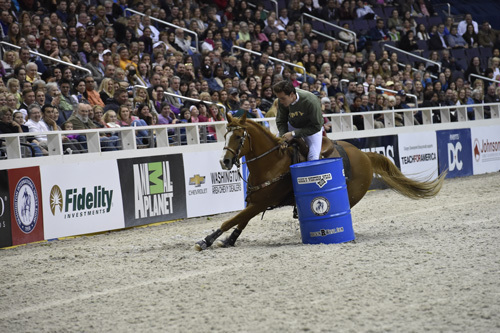 Olivier Philippaerts running the barrels for Team Army in the WIHS Army vs. Navy Celebrity Barrel Racing exhibition, sponsored by Washington Area Chevy Dealers. Photo: Alden Corrigan Media. The third annual Klinger Perpetual Award for Honor and Service was presented to Andy from Loudoun Therapeutic Riding Center in Leesburg, Va. Andy, a 20-year-old Haflinger gelding, is the embodiment of service and honor when in the presence of adults and children with emotional, physical or cognitive challenges. He does not put a hoof wrong in a lesson or healing session with a participant, especially veterans. The Klinger Perpetual Award for Honor and Service, presented by Ariat International and EQUUS Foundation, recognizes a horse, individual or organization that best demonstrates the values of honor and service as embodied by Klinger, the beloved U.S. Army horse and TAPS Ambassador, who has touched the lives of many during his life of service with the 3rd U.S. Infantry Regiment (The Old Guard) Caisson Platoon. Klinger was on hand for the ceremony. A special presentation by the U.S. Naval Academy Silent Drill Team and a Mounted Color Guard, organized by the Maryland National Capital Park Police, rounded out the popular evening. Held on Thursday, WIHS Barn Night, presented by Dover Saddlery and the Peterson Family Foundation, is a favorite with young riders and horse lovers of all ages who attend in groups and have a chance to enter contests, win big prizes, and enjoy a fun, horse-filled evening. Almost 2,500 children representing 56 regional barns and groups were among the thousands watching the $20,000 Gambler's Choice Costume Class, presented by Winter Equestrian Festival, with riders and horses decked out in Halloween attire, and the WIHS Shetland Pony Steeplechase Championship Series, presented by Charles Owen. Additional activities included Stablemate horse painting, courtesy of Breyer Animal Creations, autograph signings with top riders, a scavenger hunt, a tee-shirt toss plus a visit from Major, the WIHS mascot. L-R: Shetland pony racing; showing the Best Barn Spirit was NFF Stables, one of 56 participating barns at WIHS Barn Night; Kaitlin Campbell and Artani in WIHS Gambler's Choice Costume Class. Photos: Alden Corrigan Media, Shawn McMillen Photography. Top contest prize winners included NFF Stables, of Poolesville, Md., winner of the Best Spirit prize, a riding clinic with top international show jumper Brianne Goutal; Summerfield Farm of Lothian, Md., winner of a custom barn jump, courtesy of Swan Lake Horse Shows, for creating the Best Banner; Clover Grove Farm, of Staunton, Va., won a refurbished custom golf cart, courtesy of United Metro Golf Cart, for the Best Video; and Meadowbrook Stables of Chevy Chase, Md. won a custom drape set, courtesy of Dover Saddlery, for the Largest Group. Prizes were also awarded for second place and honorable mention. Bringing down the house once again was the wildly popular WIHS Shetland Pony Steeplechase Championship Series, presented by Charles Owen, which debuted at Washington in 2013. This year, the WIHS Shetland Pony Steeplechase had stops at the historic Devon Horse Show (Devon, Pa.) in May, the WIHS Regional Horse Show & USHJA Zone 3 Finals in Upper Marlboro, Md., in October, and culminated at Washington with races on Barn Night and President's Cup Night. The WIHS Shetland Pony Steeplechase Championship Series has all the trappings of professional races with riders in colorful silks, a bugler, race caller and even a photo finish, but in miniature. The jockeys are youngsters from seven to 14 mounted on traditional fluffy Shetland Ponies racing over a course of tiny hurdles. Well-established in England, pony racing is growing in popularity in the U.S. thanks in part to Maryland-based U.S. Pony Race, organizer of the WIHS series. In the final event of the evening, Aaron Vale and Quidams Good Luck won the $20,000 International Jumper Gambler's Choice Costume Class, presented by Winter Equestrian Festival with a score of 1110 points. Vale was dressed as Quidams Good Luck's owner, former Major League Baseball player Troy Glaus. Vale carried a baseball bat as he cantered into the ring and threw baseballs personally autographed by Glaus to the enthusiastic Barn Night crowd. "I went to the top of the stairs to watch the first couple go to see how everything flowed together and what turns looked smooth from above - you can get a better viewpoint from up there," explained Vale. "I thought it was a smooth course. It was simple for my brain and it was something that fit in my horse's comfort zone, something that he could do pretty easily, and it worked. He ended up jumping really well. I felt like it was a solid trip, and it would be pretty hard to beat, and luckily it actually ended up that way. It was good fun." Also on Thursday, the fourth annual Laura Pickett Trophy for Excellence in Horsemanship was presented to Bailey Austin Doloff by Vicki Lowell, WIHS President and sponsor of the award. The trophy honors honors the memory of a respected local trainer, her contributions to the sport she loved and the legacy she left behind. She inspired enthusiasm for life in addition to good horsemanship and the award is presented to an up-and-coming rider and trainer from the WIHS Regional Horse Show who best exhibit the same qualities. The winner also received a pair of riding boots, courtesy of Italian boot maker Fabbri Boots. Doloff is trained by Dorna Tainter. Hints of pink colored Thursday night's festivities as WIHS joined forces with Capital Breast Care Center (CBCC) for the fourth year. Funds for CBCC were raised through the "Buck Breast Cancer Benefit," a reception honoring the lives of women who have lost their fight against breast cancer and those who continue to fight. WIHS was also pleased to welcome a very caring sponsor, Tryon International Equestrian Center, to support the second annual "Clear for the Cure" program where a donation of $250 was made every time the pink Breast Cancer Awareness jump was cleared during the Gambler's Choice Costume Class. More than $6,000 was raised for CBCC's mission to provide culturally sensitive breast cancer screening services and health and wellness education to women in the Washington, D.C. area, regardless of their ability to pay. Barn Night is a longstanding WIHS tradition made possible through the generous support of The Peterson Family Foundation, Dover Saddlery, Charles Owen, The Equiery, Breyer Animal Creations, Swan Lake Horse Shows and United Metro Golf Cart. The WIHS experience starts outside the arena. Approach Verizon Center in any way, exiting the Metro, walking or driving in Penn Quarter, and it's all about horses. Oversized jumping horses leap across Verizon Center's outdoor video boards. Grooms brush, wrap and bathe their charges in stabling tents on nearby city streets. Riders dressed in boots and breeches wait in line at local eateries. Horses and pedestrians share the sidewalk. And, equine handlers pause on their way to compete so passers-by can pat their horse and take a selfie. Onlookers also watch with interest as horses step down the ramp of huge shipping trucks manned by Johnson Horse Transportation, Official Carrier of WIHS, and are guided to their temporary homes, including the FEI Stabling Area, sponsored by Dutta Corporation. Inside, the main attraction was the jumping competition, but the thousands of attendees also enjoyed a wide array of specialty boutique shopping. More than 50 pop-up shops lined the concourse during show week with equine-related items, jewelry, fashion and the show's famous home-made fudge. Among the favorites were the Jack Wills, Etc., Callidae, Phoebe Darlington Portraits in Pencil, Slater Zorn, Kaiser Construction, Camp Friendship, plus top line boot makers Der Dau and Fabbri Boots. The WIHS Silent Auction, presented by Valencia Saddlery, was open for bidding all week online and onsite with more than 130 items on display. Unique items included an heirloom mahogany rocking horse, tickets to Elton John's Oscar party, Lugano Diamonds jewelry, Equitrekking Travel's Ireland Riding Experience, plus exciting experiences, great getaways, high-end fashion items, tack, concert tickets, fine wine and riding clinics from top pros. L-R: Swedish Ambassador Björn Lyrvall, daughter and friends stop for a photo on the CityCenterDC red carpet; WIHS Board Member Alex Thompson takes a selfie with Nicole Sloan and Kate Ficca in the Lugano Club; WIHS hospitality tablescape and WIHS/FEI Longines fan photo zone on the concourse. Photos: Rex Reed and Alden Corrigan Media. Sponsors entertained clients and friends and enjoyed elegant food and drinks in the beautifully appointed Longines Club and Lugano Club, featuring décor provided by Syzygy Events International and Bash DC. Table guests on Saturday received a lovely tote courtesy of Maria Mendelsohn. One level above, Acela Club guests arrived on the new CityCenterDC red carpet and enjoyed socializing with sponsors and others while watching the action in the ring. Breckenridge Brewery added a new craft beer touch to the VIP hospitality offerings. WIHS exhibitors enjoyed hospitality of all kinds, including The Sterling Club Exhibitors Lounge, sponsored by Marshall & Sterling, which provided riders and trainers a place to enjoy a meal, relax and follow the show on video monitors. Breakfasts and lunches were sponsored by Charles Cohn Foundation, Ravens Wood Farm, Karen Long Dwight, Montana Coady and the Hilton family. The annual Parents' Breakfast in the Lugano Club was sponsored by the Gochman family, the Welcome Breakfast was sponsored by ALTEC/Styslinger Foundation and the Pony Party was presented by the Acox family. Riders, trainers and owners enjoyed the local neighborhood exhibitor parties hosted by the Irish Channel Pub and ThinkFood Group's celebrated restaurants, Zaytiaya and Oyamel. In-arena entertainment was expanded this year to include Lucky Program Prizes sponsored by Fleeceworks, Buckeye Nutrition and Fuel Pizza, Parachute Drops sponsored by Travelers, Salutes to Parents sponsored by Upper Echelon Academy and T-shirt Tosses courtesy of C&A Sportswear. As a non-profit charitable organization, WIHS believes in mirroring the support it receives from the community and its dedicated supporters by giving back in meaningful ways. 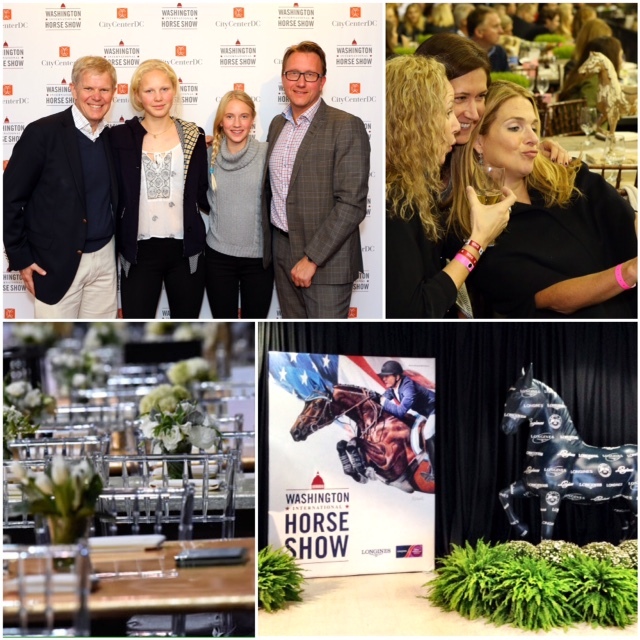 Each year WIHS partners with several worthy charities and stages a number of popular community-focused events. The WIHS Charity Alliance Program champions the community by helping our sponsors provide promotion, branding exposure and premium hospitality to designated charities. This year WIHS welcomed Teach for America, Washington Humane Society and Northern Virginia Therapeutic Riding Program as Charity Alliance partners, thanks to generous donations from supporters including Greg Gingery and Rita Norton. A happy couple takes a selfie during the annual WIHS Breakfast with the Mounted Police in front of Hotel Monaco. Photo: Alden Corrigan Media. Wednesday morning began bright and early with a visit to WIHS from representatives of the local Mounted Police Units for the annual Breakfast with the Mounted Police, hosted in partnership with Hotel Monaco. Commuters on foot stop on their way to work surprised to see so many of these gentle giants close up. WIHS is proud to recognize these first responders and their equine partners. The festivities usually gain local media attention and everyone enjoys delicious breakfast treats, both human and equine. On Saturday, almost 800 children and their families came out for WIHS Kids' Day, which was created in 2010 to share the joy of horses with the local community. Sponsored in part by Animal Planet and EQUUS Foundation, the free festival is held both inside Verizon Center and on F Street in front of Hotel Monaco. Organized with the help of WIHS's Junior Committee, Kids' Day offered more than a dozen hands-on activities, including Animal Planet's Horseless Horse Show, pony rides, horseshoe crafts, face painting, pony brushing lessons courtesy of Meadowbrook Stables, build your own mini-jump with Model Horse Jumps, plus giveaways from Paisley Pony magazine and Georgetown Cupcake. Klinger, the famous U. S. Army Caisson Platoon horse, was a special guest, and the adorable mini-pony, Leo The Magnificent, was receiving kisses in the Pony Kissing Booth. The EQUUS Foundation Horse Stars Hall of Fame featured new, interactive "Learn More About Horses" activities. presented by Dr. Betsee Parker. John French and Boss, overall WIHS Grand Hunter Champions. Photo: Shawn McMillen Photography. Wasserman earned the Leading Hunter Owner Award. On the way to his leading rider title, French began the day with a championship win in the High Performance Working Hunter division, presented by Jacqueline B. Mars, with Hiller Farms LLC's Center Court, with Kelley Farmer and Kensel LLC's Mindful finishing in reserve. Mindful and Farmer were also presented with the Protocol Trophy, sponsored by Platinum Performance, for the second year in a row. The prestigious trophy is awarded to the overall High Point High Performance Working Hunter from the Devon Horse Show, Pennsylvania National Horse Show, and Washington International Horse Show. In the Regular Conformation Hunters, Scott Stewart and Dr. Betsee Parker's Lucador earned championship honors with French and Laura Wasserman's Fine Design taking the reserve. 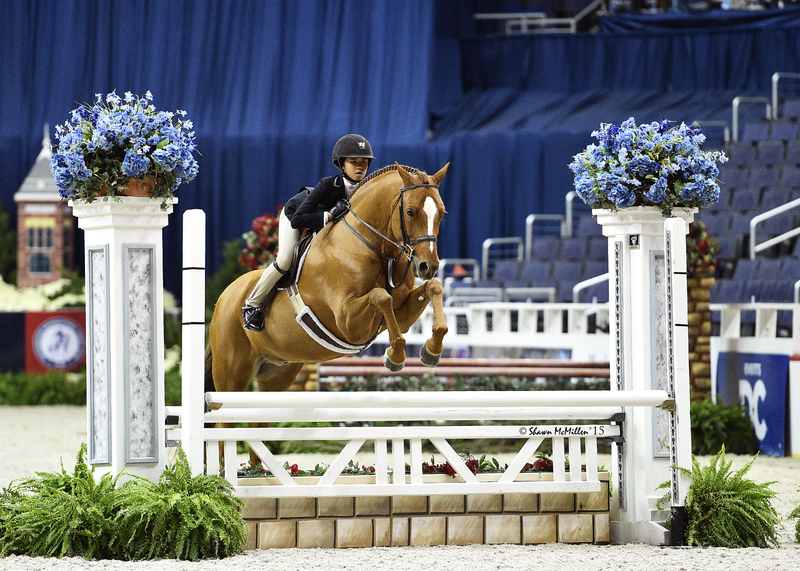 Always a popular division at WIHS, the Pony Hunters helped wrap up the weekend with great competition, including a challenging test over fences in this year's WIHS Pony Equitation Finals. Mimi Gochman and Storyteller came out on top. Mimi Gochman, 2015 WIHS Pony Equitation Champion, aboard Storyteller. Photo: Shawn McMillen Photography. Riders earning the most points in WIHS Championship classes held throughout the country earned a place in the WIHS Finals at Verizon Center where the ultimate champions were determined. 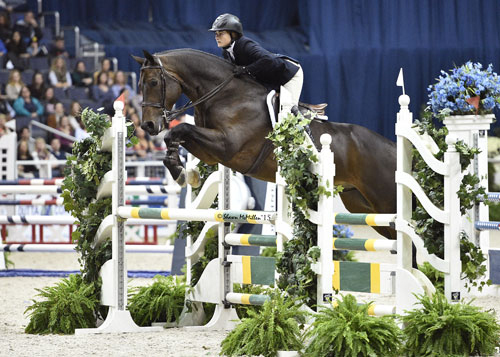 The winner of the $10,000 WIHS Children's Hunter Championship, presented by the Heisley Family Foundation, was Zentina B, owned and ridden by Samantha Karp. The $10,000 WIHS Adult Hunter Championship, presented by The Linden Group at Morgan Stanley, was won by Jessica Lohman riding Dani Di Pietro's Davenport. Top honors in the $10,000 WIHS Children's Jumper Championship, presented by Shamrock Ventures, was Katy Hamilton riding Old Barrington LLC's Sacha 12. Tegan Elizabeth Treacy riding Starlight Farm LLC's Catalyst won the blue ribbon in the $10,000 WIHS Adult Jumper Championship. Top qualifiers for each WIHS Championship were awarded gifts courtesy of EquiFit and champions received custom chaps from Journeymen Saddlers. When all the numbers were tallied, WIHS presented 20 division championships, 70 trophies, 1,200 ribbons, 53 embroidered championship coolers from The Clothes Horse sponsored by The Wasserman Foundation and more than half a million dollars in prize money and rider bonuses. Winners enjoyed Georgetown Cupcakes, presented by Peacock Ridge, and champion grooms received custom vests presented by WALSTIB Stables. In the spotlight for award presentations was Washington Area Chevrolet Dealers, title sponsor of the WIHS Winner's Circle. 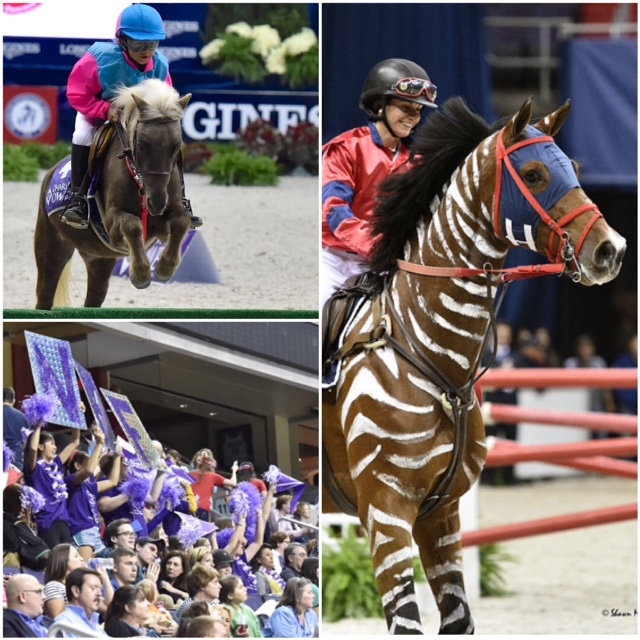 As we turn the page and bid farewell to WIHS 2015, we thank our dedicated sponsors, supporters and fans for making our 57th year come to life in the heart of the nation's capital. 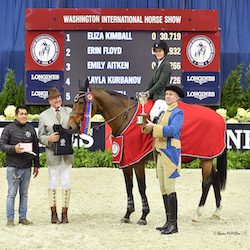 "There are many opportunities and challenges unique to hosting an international equestrian event in a major city like Washington, D.C., and the growing support and enthusiasm we receive from equestrians and enthusiasts alike continue to inspire us as we turn our energy toward making WIHS 2016 another one-of-a-kind horse show in the city," said Meehan. Erik A. Moses, Senior Vice President, Managing Director, Sports and Entertainment at Events DC said it best, "This is our 7th year supporting this fantastic sports and cultural institution in Washington D.C., and we are excited to continue this partnership so people can come downtown, be close to horses and see a different kind of sporting event, one that most of us are not so accustomed to in the city. There's a lot of history and culture here and we want people to come out and experience WIHS for themselves." Join us next year for the 58th Annual Washington International Horse Show October 25-30, 2016, at Verizon Center in Washington, DC! Harrie Smolders and Emerald, winners of $125,000 Longines FEI World Cup™ Jumping Washington, with Erik A. Moses, Senior Vice President, Managing Director - Sports and Entertainment, Events DC; Bridget Love Meehan, WIHS Executive Director; Victoria Lowell, WIHS President; Greg Gingery, WIHS Chairman; and Connie Sawyer, Manager of Longines FEI World Cup™ Jumping NAL. Photo: Shawn McMillen Photography. 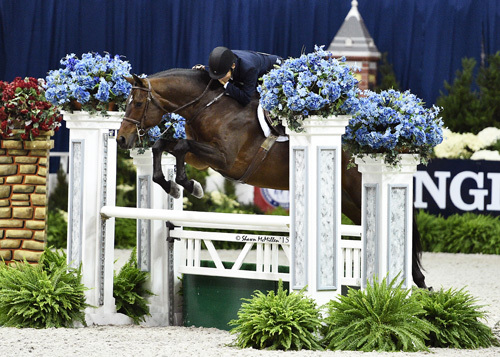 Established in 1958, the Washington International Horse Show is one of the most prestigious equestrian sporting events in the U.S. More than 26,500 spectators attend the six-day show, which includes Olympic-level competition along with community and charity events. 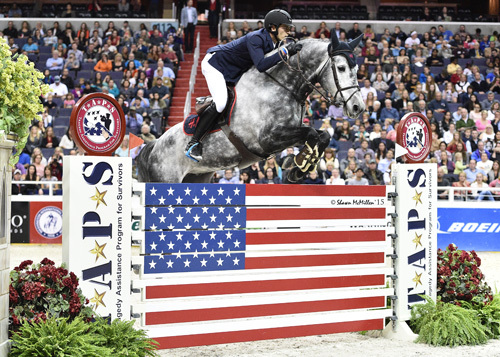 More than 500 top horses and riders come to D.C. from all over the globe to jump for more than a half a million dollars in prize money. Event highlights include the $125,000 Longines FEI World Cup™ Jumping Washington, presented by Events DC, for the President's Cup (Saturday night), The Boeing Company Puissance high jump competition on Military Night (Friday) and Kids' Day (Saturday), a free, fun and educational community event. The Washington International Horse Show Association, Ltd. is a 501(c)(3) nonprofit charitable organization headquartered in Washington, D.C. WIHS is an official USEF Heritage Competition and is recognized as a Top 25 Horse Show by the North American Riders Group. WIHS is rated CSI4*-W by the Fédération Equestre Internationale, the world governing body for horse sports.